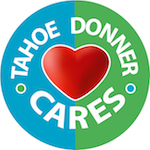 The Family Challenge is a matched time competition raced by family teams at Tahoe Donner Downhill Ski Resort. It is a Giant Slalom race, but the time that counts is the difference between first and second runs. The team component is a combined best difference from a child in a family with the best difference from an adult in the family. The winning team gets their name engraved on the trophy in the ski lodge. All children who complete their two runs will earn a medal, and there are other prizes as well. This race event starts at 12PM and is free.